Photograph depicts a British locomotive, the "Dunrobin, " and a saloon coach on BCER track in New Westminster. 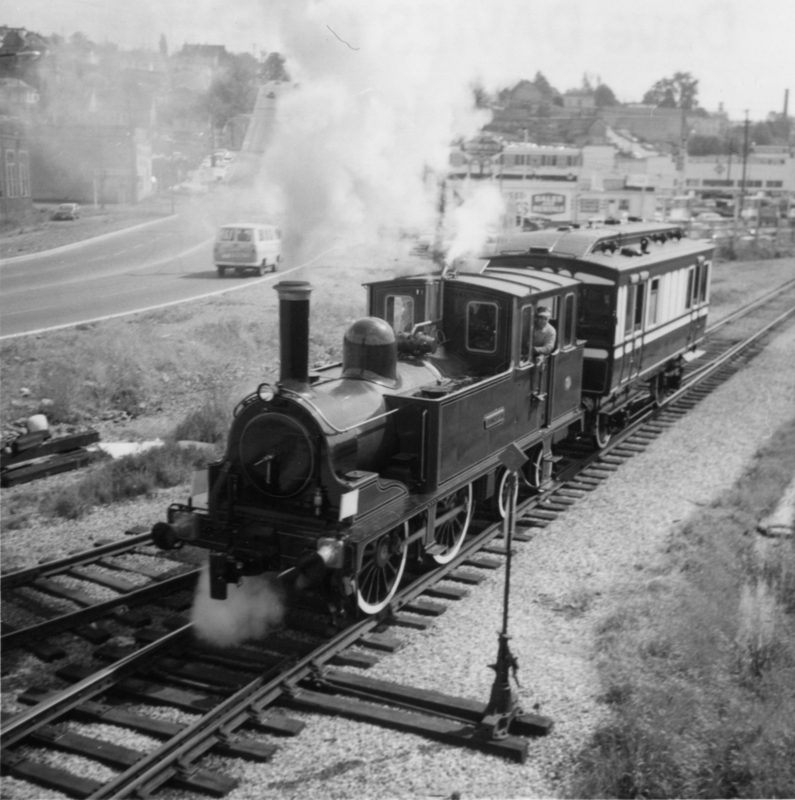 It was on its second steaming trial since the 1940's after it had underwent a complete overhaul at the BCER locomotive shed in New Westmintster in 1966. "Dunbrobin" en route to Steveston via Marpole.